CIOE VIP Buyer Program is designed for key buyers and senior-level decision makers from the optoelectronic industry. CIOE will offer exclusive privileges and amenities to enhance your experience and to facilitate your high-end commercial opportunities at the event. 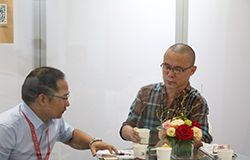 The program serves as a one-on-one platform to connect buyers and exhibitors, and enhance your show visit efficiency. ● Badge pick-up at exclusive VIP Buyer counter upon your arrival. No queue! ● Admission to VIP Buyer Lounge with business facilities, meeting space and high-speed WIFI connection. Criteria： Key Buyers and senior-level decision makers, position as President, General Manager, and Director/Manager of R&D, Procurement, and technology professionals, etc. CIOE VIP Buyer Ambassadors will send e-mail invitation to identified potential VIP Buyers with an application form or you can apply online. we will approve your application within 3 days, specify your business matching goals and purchasing needs, arrange business meetings. What did our VIP Buyer say? We’ ve got this intelligent island project in Pingtan in Fujian province and need to purchase series of optical communications and data center products. 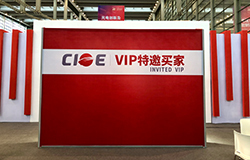 CIOE is a very suitable platform and we’ve found lots of exhibitors via VIP match-making service. Thanks to CIOE we’ll be soon to achieve cooperation. See you next year! 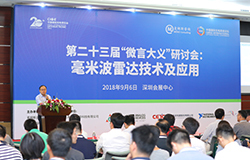 We’ve meet lots of potential suppliers at CIOE 2018 and we can also see how the exhibition accelerate and help with the exchanging of the whole industry. Even though we had very high expectation towards CIOE 2018, it still over surpassed our expectations. 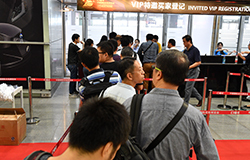 As a VIP buyer, I can feel the comprehensive and improving service by the organizer from pre-show exhibitors screening, expedite entry, VIP lounge and personalized agenda. There services did help with my work. I hope CIOE can keep growing bigger and better, and keep benefiting the whole optoelectronics industry. See you at CIOE 2019. •	It’s my first time at CIOE. We’re grateful the international optoelectronic platform built by organizer for us to get to meet suppliers face to face. Exhibitor profile covered variety products from optical materials to modules. We are microdisplay manufacturer and we are so happy for seeing lots of AR/VR camera modules and prototypes with advanced optical technologies so we can exchange technical and cooperative ideas with the suppliers directly. Wish CIOE a bright future. Thanks to organizer’s arrangement, we had a very effective and fruitful trip at CIOE. Especially the mobile & automotive theme visiting tour are very specific. Pretty Good!